One of the signs of a process gaining prominence in usage is that people create acronyms out of its terms. User Experience (UX), has certainly arrived in that sense. Interestingly, a new field of endeavor that extends this process to a wider scope has also taken shape – Customer Experience (CX). CX, spoken of with respect to customers of a particular business or brand, includes all the interactions that customers have with a brand. In branding and marketing, such interactions are called ‘brand touchpoints’. Ogilvy (the advertising agency) had termed it as 360-degree branding. With the growing effectiveness of Design processes in business, CX borrows heavily from core design principles and includes the entire gamut of experiences that a customer or a potential customer has with a business or brand, across media channels. CX seeks to answer the question – can each of these experiences be designed to deliver either a similar or a cumulative impact? For example, watching an advertisement, browsing a website, visiting a Facebook page, walking in to a retail store, interacting with the sales staff, making a purchase, using the product, receiving support, etc. In addition CX also makes each of these experiences measurable for quality against a pre-defined standard. The extrapolation of design principles from UX to CX is not a simplistic one, in the sense that we equate users to customers. For the industry, UX does deal primarily with the digital environment, while CX encompasses both digital and physical environments. When UX is involved, we understand that there is a product or a service with a significant digital component to it. While in CX, there may be several products or services and all their related processes of pre-purchase, purchase and post-purchase that are designed. So, fundamentally CX design is a holistic approach to solving business problems or creating business opportunities, while UX design is specific to a particular product or service and will form a part of CX in cases where the latter is deliberated upon. Looking at the kind of skills a CX designer needs to possess, there are definitely heavy on the business side. An expert at understanding processes that encompass the customer’s or a prospect’s journey. The CX designer is also part business analyst and part business strategist, with a deep knowledge of service design and UX design. While one cannot expect a UX designer to simply scale up to become a CX designer, it is definitely a natural extension of a UX designers capabilities to grow into a CX designer. 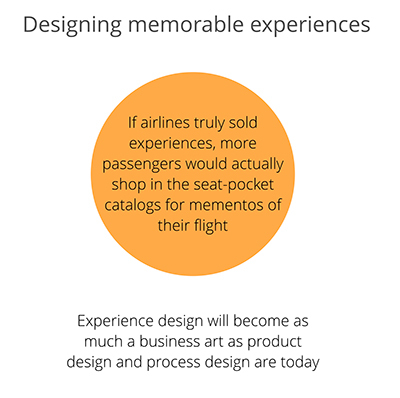 Conversely too, it is ideal that a CX designer has a strong background in UX design. Seen from an industry point of view, the very fact that a discipline like CX is emerging is a strong indicator that the principles of Design are permeating the modern enterprise deeper and deeper. 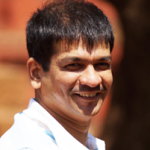 Prasadd Bartakke is Chief of Experience Design and Research at YUJ Designs. His top priorities are anchoring customer engagements, design strategy management, and crafting culture for directed growth.Prasadd also conducts workshop, training programs for design institutes and corporates.